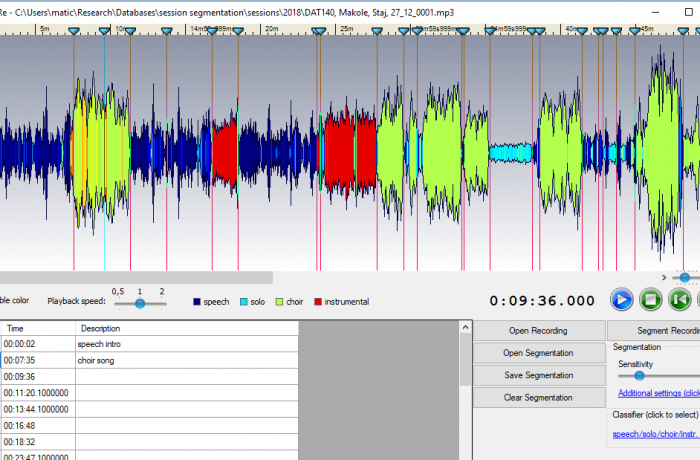 SeFiRe is a tool for segmentation of field recordings and other audio recordings. 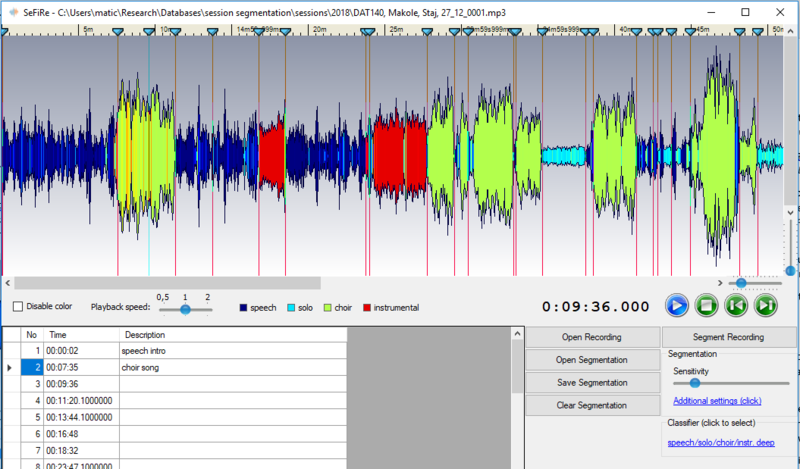 It can label and segment an audio file into speech and music segments, or into five classes: speech, solo singing, choir singing, instrumental and bell chiming. SeFiRe offers a user-friendly interface for visualizing the audio and labelled classes and for manipulating the segment boundaries. SeFiRe developed from our research into audio segmentation. It is available for download for the Windows platform, sources are also available on demand. For installation instructions, see the user manual in the zip below. M. Marolt, C. Bohak, A. Kavčič, and M. Pesek, "Automatic segmentation of ethnomusicological field recordings," Applied sciences, vol. 9, iss. 3, pp. 1-12, 2019.